← Ask yourself four diet questions. Or I will. 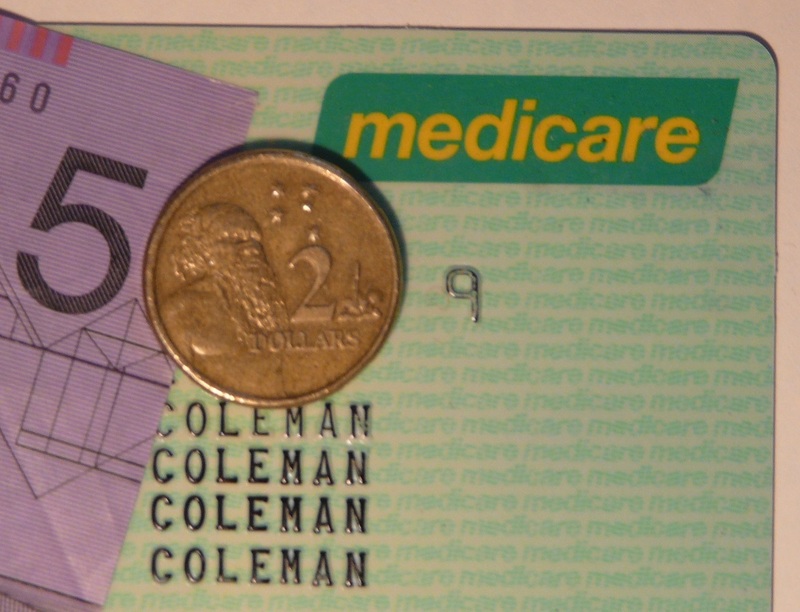 Australian Doctor asked me today if they could publish my thoughts on the $7 co-payment. I have dark thoughts. Apologies in advance to my medical specialist friends. It’s not your fault. Imagine yourself in charge of Australia’s health budget – heaven forbid! On your desk are two cash-filled buckets, marked ‘primary care’ and ‘specialist/hospital care’. Your job is to remove some money from one or the other bucket, to be spent elsewhere. Unrestrained by short-term political gain and beholden to no interest groups (we are only imagining), your decision requires going back to basics. Basics, of course, means health consumers. Patients. People. You reckon doctors can generally look after themselves, so you are only interested in patient outcomes. Which pile of cash is currently giving patients the most ‘bang for their bucket’? You turn to the best available evidence – a novel approach, not without political risk. Dr Barbara Starfield, paediatrician and President of International Society for Equity in Health, researched this very question extensively over decades. She and her John Hopkins University colleagues analysed every relevant published study, and can answer your question unequivocally – the same answer regardless of your country’s economy. Don’t touch the money in the primary care bucket. Depleting primary care results in worse health outcomes, for all important measures. These outcomes include mortality (all-cause, cancer, heart disease, stroke, infant) low birth weight, life expectancy, self-rated health, mental health and suicide. (1) Not much left, really, unless you think waiting times for MRIs are equally important. Notably, these worsened outcomes do not occur to anything like the same extent with reduced specialist care and hospital services. We may like to think they do, but evidence suggests otherwise. In the U.S., for example, each one fewer GP per 10,000 population is associated with a five per cent reduction in measured health outcomes, in rich states and poor, city and rural. In other words, if you took one doctor’s wage from the primary care bucket and tipped it into the specialist bucket, the population health would worsen. If you Robin-Hood the money the other way, outcomes improve. But what about bulging hospital waiting lists, you protest? And cardiac surgeons who save two lives before breakfast? No one would deny that specialist and tertiary care is crucial, but the fact is that a robust primary care system is even more crucial. More lives depend on it and, dollar for dollar, considerably more health is gained by it. Ideally, you wouldn’t remove any money at all, but if forced to make a choice, less harm results from leaving primary care alone. This may be counter-intuitive if your knowledge of the system is gleaned from newspaper headlines and complaint letters. Adding up coronary stent insertions is easy and immediate; any bean counter can master it. But improving the average health of entire populations is much harder to measure, which is why we invented epidemiologists. These wonderful creatures can smooth out the inherent uncertainties of interactions with GPs and other primary care providers, and miraculously count the number of lives saved. Millions of brief interventions save thousands of lives, and prevent or relieve untold suffering, disability and mental anguish. So powerful is the measured effect, these statistics hold true even when diluted by the ‘easy stuff’ – the common colds and work certificates. Amidst the daily confusion of intense, 15-minute doses of human discourse, epidemiologists reveal all the catastrophic events which never took place. The souls who cheated death in primary care cannot be named with wrist tags, but can most certainly be counted. I work in Aboriginal health, where prevention is everything. Like most GPs who work in poorer neighbourhoods, I am willing to accept that the rosy world of user-co-pays exists somewhere, but I’m too busy to go looking for it. Some days, it seems half my work is nabbing unsuspecting fathers who have brought their kid in to see me, and suggesting that dad needs a health check, too. Let’s fit you in and talk about smoking, exercise, belly size. For seven dollars. And measure seven dollars’ worth of cholesterol to get your CV risk. And your child’s scabies rash honestly won’t go away unless we treat you and all the other little seven dollars in your family. Sorry? What do you mean you might think about it and come back later? Oh, you just need a certificate. Maybe I’ll be lucky. Maybe politicians will recognise that every Aboriginal health service losing $13 every consultation is the antithesis of ‘closing the gap’, and they will exempt us. Maybe not. Even if we become a unique exemption, the irony is that the gap will close even faster, because the average health of the other 97.5% of Australia will reduce. I doubt the original concept involved closing the gap at both ends. A healthy society needs a robust primary care health system. Don’t mess ours up. That’s my advice – for free. This entry was posted in medical writing and tagged co-payment, GP, life expectancy, primary care. Bookmark the permalink. Should the Future Fund eventuate, may I propose a hypothesis for investigation? The #1 prob facing primary care delivery is getting the uninspired recipient to invest just a little in their own health outcome? Or perhaps completely unexpected advice to cut the fags, cutback the booze and trim the tum isn’t worth $7 to a disenfranchised patient. Whom you lost thru trite rituals of checking BPs and updating the mental health plan, because in this era of online patient communities their awareness of the complexity of a chronic ailment is better than the GPs. That makes complete sense. How I wish policy was made with evidence and rationality in mind. Well written. Amen! Also, love the use of ‘robin-hood’ as a verb. Sharing this, everyone should read it, not least for the bucket drawings. Ah yes, my dear AMWA mentee. Using nouns as verbs is either incompetent or brilliantly inventive. Whenever I find myself guilty of the former, I point out that Shakespeare started the rot. Great article. Unlike Americans who can argue they didn’t know any better, we have can’t. But health is a luxury good and we don’t buy value we buy reputation. And prevention is much harder for politicians to sell than fancy curative medicine after the fact.